We buy houses fast, whether they need repairs or not. 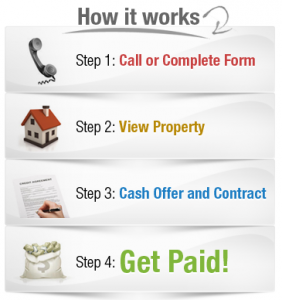 Did you know that you can sell your house and have a check in your hand within 14 days? Are you here because you need to or would just prefer to sell your Birmingham house fast? We pay cash for houses in any condition, any price range and any area of Birmingham and surrounding areas. You can forget about spending lots of money and time on cleaning and repairing your house so that you can put it on the market. We will buy the house and then do the repairs and cleaning ourselves. You can sell it exactly ‘As-Is’. Real estate agents want to list your house and hope that it sells within a matter of months and that a qualified buyer is going to come along. They can also cost you thousands of dollars in commissions. We will handle all of the paperwork, buy your house and not charge you any commissions or fees. We buy houses in Birmingham and close as soon as is convenient for you, within 7 days if necessary. You won’t have to waste your valuable time trying to market and show your home to strangers, that may or may not even qualify for a bank loan. We Buy Houses CASH! Please fill out the form below to get started. There is absolutely no obligation.